Complex structure that includes one or more exposed walls that water flows over, rather than having a normal pool wall. Catch basin and pump that push the water over the wall, catch the water, and then pumps it back up to the main part of the pool in a continuous cycle. Due to the complexity of installing these pools, it’s important to make sure that you have pool builders with the right experience. At Summerhill Pools, our experts have designed and installed several infinity pools over the years. We have the expertise needed to properly and safely install these pools, even in precarious areas such as cliffsides. If you’ve decided on an infinity pool for your backyard, our professionals will create a design that meets all of your specifications and then handle the construction process from start to finish. Contact us for more information or to get a quote. Infinity pools tend to cost considerably more than other types of pools. This elevated cost is due to the complexity of the pool construction process, which must be handled carefully by skilled professionals. This helps ensure that your infinity pool is built and installed correctly and seamlessly. If you’re concerned about the cost of an infinity pool, you should know that Summerhill Pools offers swimming pool financing options. Our financing options at Summerhill Pools include low fixed rates with auto-pay features for added convenience. We offer these options to make sure that you never have to compromise when it comes to getting exactly the pool that you want. When you’re looking for intricate and beautiful infinity pool designs, Summerhill Pools is available to help. Our experts have the software and skills needed to come up with the ideal design for your brand new infinity edge pool. 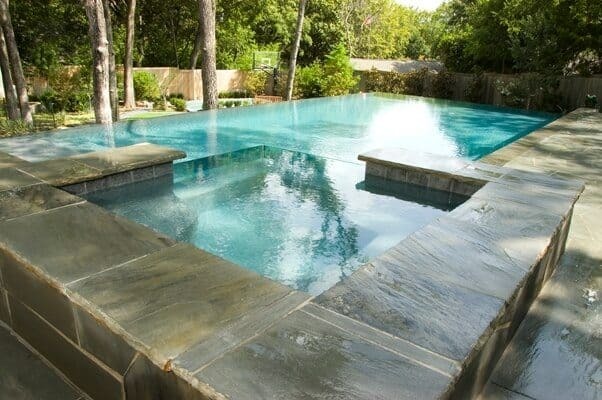 When we meet with you to discuss pool designs, our experts will let you know if any ideas you have for the pool design would work based on the layout of your property and the amount of square footage you have available. Since an infinity pool is a big investment, we won’t rush you through the pool design process. Instead, we’ll carefully go over your options and discuss what kinds of styles and features would work best for your property. We want you to be completely satisfied with the design we create for you. Once the design work is done, our team can start the process of constructing your new infinity pool. 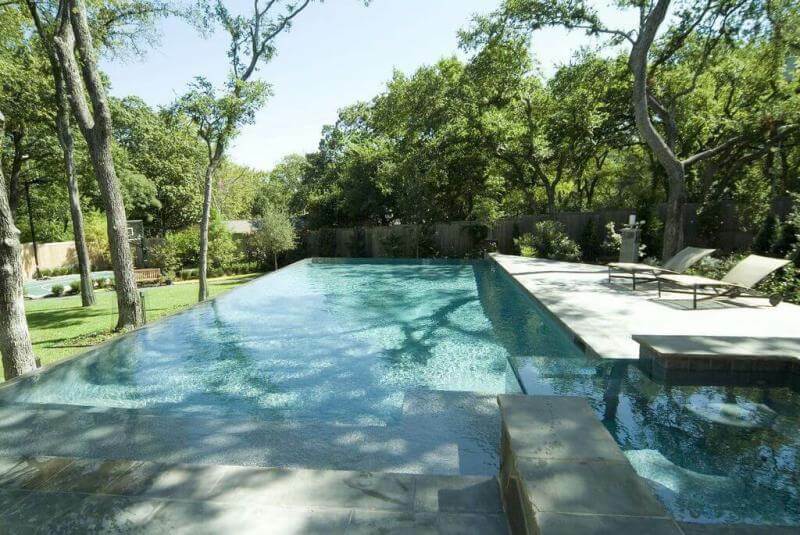 When you invite Summerhill Pools to build an infinity pool for your Dallas home, you’ll get high-quality service and workmanship. Our team will design and build an infinity pool that offers an amazing backdrop for your swimming experience. If you want to know more about our infinity pool services, contact us and we’ll be happy to provide you with additional information.